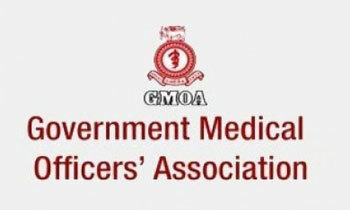 The Government Medical Officers’ Association (GMOA) said today a crucial discussion would be held with President Maithripala Sirisena on Friday on the SAITM controversy. “All stakeholders will be present at the meeting and we hope the President will give us a reasonable solution to this issue,” GMOA Secretary Dr. Haritha Aluthge said. How can you ask the president to issue a gazette to prevent students to obtain higher education. This is pure jealousy that others obtaining a same qualification as they. For me it is not understandable why the President is dealing with rowdies, which are certainly not stakeholders in this matter. An organisation , like no other!? Why is President even granting discussions to this hooligans who are holding the country on ransom ?? How come this will be a crucial discussion when you already failed few discussions with president before ? Even after this discussion can you please get used to the reality and let private medical education progress with required guidelines please.